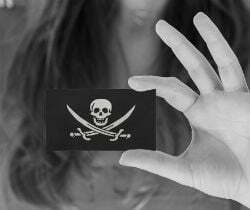 The music and movie industries and several of the UK's leading ISPs have reached terms on a deal to tackle Internet piracy. The arrangement will see the BPI and MPA monitoring people sharing files illegally and the ISPs sending them "escalating" warning letters. The introduction of the controversial Digital Economy Act in 2010 was supposed to significantly reduce online piracy but four years on just about nothing has changed. The legislation envisioned repeat infringers being cut off from the Internet, but that deterrent has never come to pass. Instead, frustrated rightsholders – who believe that doing nothing against unauthorized file-sharing just isn’t an option – have been channeled into talks with ISPs to try and find a voluntary solution to the problem. Today, and after years of wrangling, it now appears the sides have agreed terms on what will be known as Vcap – the Voluntary Copyright Alert Programme. The system will see the music and movie industries monitor BitTorrent file-sharing networks for infringement, logging pirates’ IP addresses as they go. These will be tracked back to ISPs who will send out a warning letter to the subscriber account associated with the alleged deed. According to the BBC, only four ISPs – BT, Sky, TalkTalk and Virgin Media – are currently signed up to the BPI and MPA scheme. Users of other ISPs won’t receive any letters for now but that could change in the future. Unlike other “graduated response” schemes elsewhere in the world, the UK’s Vcap has no real “teeth”. Even though the language used in the letters will reportedly increase in tone, there will be no punishments, and after receipt of a fourth warning no account will receive a fifth. On the privacy front subscribers will be pleased to know that within Vcap, ISPs won’t be handing their identities over to the music and movie companies. Rightsholder access to Vcap data will be limited to how many alerts have been sent out but since they are the ones generating the data for the warnings, the IP addresses of the alleged infringers will already be known to them. The BPI and MPA will be pleased that a deal has been reached, but it has come at a cost. While the language used in the warnings will increase, threats or suggestions of consequences for continued infringement have been replaced by messages designed to educate. Also, warnings sent will be capped at 2.5 million over three years. It will also come at a financial cost. The BBC reports that rightsholders will pay each ISP £750,000 to set up the system, or 75% of the costs, whichever is smaller. On top of this initial outlay the BPI and MPA will pay each ISP an additional annual sum of £75,000 to cover administration costs. While the ISPs and industry groups have agreed terms, Vcap is not quite a done deal yet. As part of the scheme, ISPs hope to keep records for up to a year detailing which subscribers have received warning letters and how many each has received. On this issue they are awaiting approval from the Information Commissioner’s Office. In the right circumstances and armed with a court order its certainly conceivable that not only the BPI and MPA could gain access to this data, but also outside companies with similar interests. Finally, and despite the ‘gentle’ tone of Vcap, there is a sting in the tail. In the agreement seen by the BBC, rightsholders say that if Vcap doesn’t achieve results, they will call for the “rapid implementation” of the harsh measures promised by the Digital Economy Act. c There are 142 comments. Add yours?